Home > Blog > President Trump’s First Week: Is Environmental Democracy in Jeopardy? On Monday, the administration instituted a “media blackout” at the Environmental Protection Agency (EPA), prohibiting staffers from publishing news releases, blogs, social media posts and new web content. Similar actions were taken at other agencies, including curtailing of communications at the Department of Agriculture, Department of Interior, Department of Health and Human Services and with the National Parks Service. On the same day, the president stated that he plans to “cut regulations by 75 percent, maybe more” to make it faster for businesses to move projects forward. On Tuesday, he issued an executive order to revive the Keystone XL and Dakota Access pipelines, without consulting with the State Department and bypassing further public consultations. On Wednesday, after proposing and then rescinding a directive to remove EPA’s climate change webpage, a spokesperson for the EPA transition team announced that political appointees must review scientific findings on a “case-by-case basis” before releasing them to the public, including routine pollution monitoring data. These actions could not only undermine the government’s ability to protect the environment and public health, but they also erode the foundations of good governance: transparency, public participation and accountability. Beyond communications, it is problematic to require that political appointees review the agency’s scientific data—including regarding climate change—before releasing it to the public. This will be the first time that an administration’s appointees will screen such studies. The administration’s actions also obstruct an integral component of democratic policymaking. To meaningfully engage in political processes, citizens must have access to accurate information that has not been editorialized or modified. Only with unbiased facts can they understand and shape key decisions that impact their local environments. Public participation is the bedrock of environmental democracy; yet the new administration’s plans may undercut this pillar of good governance. While meeting with business leaders during his first day in office, President Trump declared that the government must eliminate regulations and expedite permitting processes for large development projects. Effective, efficient rule-making should be a goal for policymakers, but it must not come at the cost of public participation. Many of the EPA’s and other agencies’ procedures—such as air and water discharge permits, waste cleanup plans and Environmental Impact Assessments—require a public consultation process. Soliciting public participation allows policymakers to consider the needs of all stakeholders who may be affected by projects like oil and gas extraction and mining and road construction, and enables them to better identify unintended consequences. Long-term, policies developed with community input often get more public support and less resistance because citizens perceive these decisions as fair and legitimate. 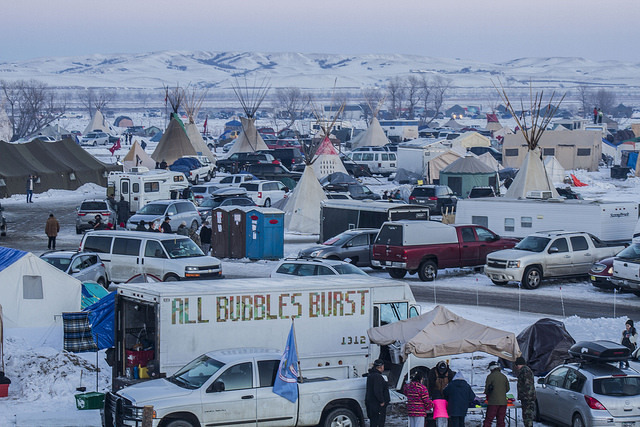 The Dakota Access pipeline project showcases the importance of public participation. 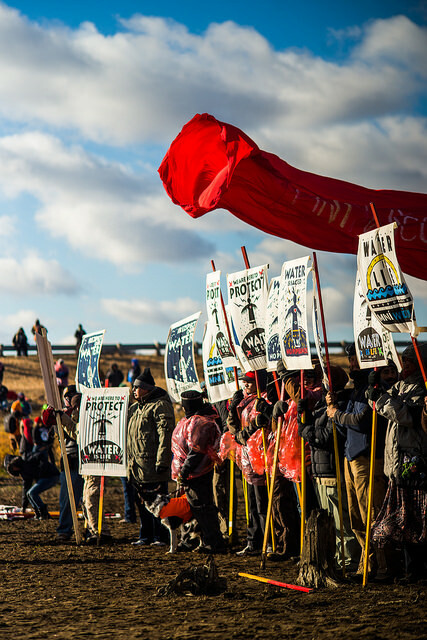 In July 2016, the Standing Rock Tribe filed a complaint against the U.S. Army Corps of Engineers, the agency that grants permits needed to construct the pipeline. They claimed that, by crossing under the Missouri River, the pipeline posed a serious threat to the community’s clean water and sacred burial grounds. Their complaint further alleged a breach of the National Environmental Policy Act and the National Historic Preservation Act on the grounds of failure to consult with affected parties, adverse effects on water health and failure to assess scared sites. In December, following weeks of public protests, the Corps decided it would delay the project in order to conduct an Environmental Impact Statement, which would explore alternative routes for the pipeline. This result shows the power and necessity of public participation—people’s involvement is critical for protecting communities and for finding the safest, most appropriate options for infrastructure projects. But on his second day in office, Trump ordered the Corps to “review and approve [the pipeline] in an expedited manner,” without considering alternative routes or conducting a public consultation. His directive effectively thwarts the public participation process to resolve what has become the biggest joint protest of Native American Indian tribes in decades. The United States has long been recognized as a global leader in establishing rights to environmental information, to accurate and objective scientific resources, and to public participation in decision-making processes. It currently holds the third-highest ranking on WRI’s Environmental Democracy Index, which scores countries on their ability to provide these fundamental rights. The EPA and other government agencies’ mandate to use science to inform policies, to conduct extensive public consultations, and communicate openly with people plays a foundational role in protecting people’s health and the environment. Pursuing and sharing scientific data and evidence is integral to this process. The Trump administration, its agencies and their staff have an obligation to protect and continue America’s strong leadership on environmental democracy.